A Maths Dictionary For Kids is mainly for middle and high school students. 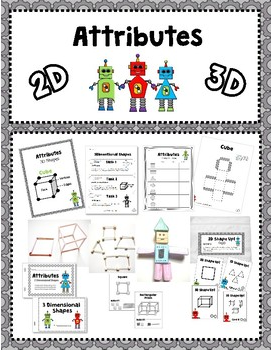 ​2 dimensional shapes have two dimensions, length and width. 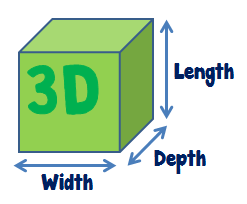 ​3 dimensional shapes have three dimensions, length, width, and depth.